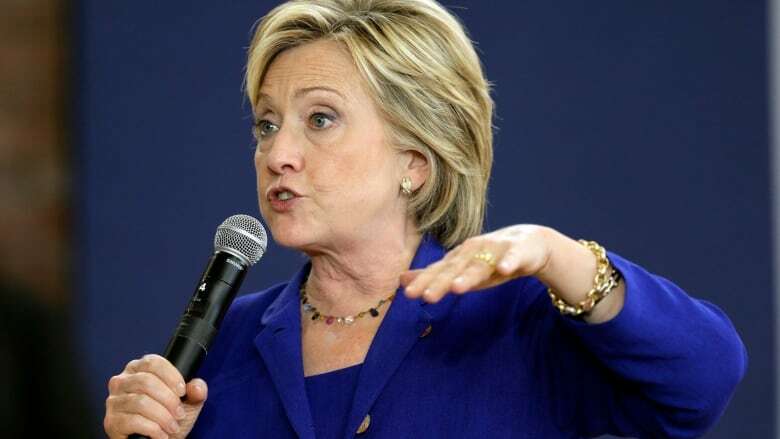 Hillary Clinton has released a policy paper that calls for a wide-ranging, co-ordinated Canada-U.S.-Mexico climate-change plan one day after announcing her opposition to the Keystone XL pipeline. The position paper from the presidential contender added a new wrinkle Wednesday to an issue that has already inserted itself in two national elections — the current Canadian one, and the 2016 U.S. presidential race. Hillary Clinton says no to Keystone XL: Does it matter? Clinton wants to follow up her opposition to Keystone with a more ambitious climate program that includes immediately launching negotiations toward what she's called the North American Climate Compact. It's the first time a prominent U.S. politician has explicitly linked the pipeline issue to more action on climate change from Canada — something President Barack Obama has never done. It's also a significantly more aggressive plan that the current continental working group on climate change which aims to upgrade infrastructure but does not set out firm greenhouse-gas targets. "Building a clean, secure, and affordable North American energy future is bigger than Keystone XL or any other single project. That's what I will focus on as president," said the Clinton paper. "As president, I will immediately launch negotiations with Canada and Mexico to forge a North American Climate Compact." Clinton says she would seek strong national targets to cut carbon pollution; ensure all three countries demonstrate a commitment to climate action; and create accountability measures to make sure each country respects its commitments. Other parts of the paper mention speeding up ongoing safety upgrades to rail tanker cars that carry oil, new regulations for pipeline safety, and repairing older, leak-prone pipelines. The paper comes one day after she stunned allies of the Keystone project by announcing opposition to a pipeline she'd once said she was inclined to support, and she called Canadian oil the continent's dirtiest fuel. That announcement instantly became a 2016 U.S. election issue, as Republicans pounced on her. In Canada, the governing Conservatives issued a cautious statement defending the project while the Liberals and NDP jumped into it. The Liberals support the Alberta-to-Texas pipeline and blame its delays on the Harper government's inaction on climate change. The NDP opposes it, on the grounds that it would ship refining jobs to the U.S.